Building a home will most likely be your largest investment, so it makes sense to find the right home builder who you can trust with the job. When opting to choose a modular home builder, it is essential to check first the credentials prior to making final transactions with them. In selecting a modular home builder, make sure to choose a team that has a reputable practice. It's smart to check out their portfolio so you can determine their style and their capability to make modifications so it can exactly suit your taste and preferences. You should also read client feedback and testimonials so you can see firsthand remarks regarding the homes they build. It is also imperative to find out what materials they use when building a home, so you are guaranteed of the quality and sustainability of your modular home . Also request a factory and site tour so you can witness the procedure and projects that they are currently working. When investing in a home it is important to be meticulous. It makes perfect sense to first investigate your final choices in home builders. Tidewater Custom Modular Homes encourages our clients to look into our portfolio, reviews and projects, ask as many questions as they can about our process. We want them fully informed before they finally commit to us. Contact Tidewater Custom Modular Homes to find out more about our team and our work. The most recent hurricane that hit the Carolinas resulted in extensive damage to considerable residential properties. The furious toll of wind, rain, and surging of floodwater wiped out many homes. Currently, many are still taking refuge in disaster relief centers. Fortunately, modular home builders in Wilmington, NC can provide new hurricane-safe homes to these affected families. Modular homes can be more quickly built to meet and exceed state and local building codes. The modules are manufactured in an enclosed environment where weather cannot affect the process or the materials, modular homes can be delivered to the permanent site faster than stick-built homes can be constructed. Additionally, modular homes have rigid QA tests and standards that traditionally built homes do not need to be subjected to. This means that modular homes can withstand higher winds and have more secure and advanced footings for water front areas. This means that those families who lost their homes during Florence can move into and occupy new, safer homes faster. 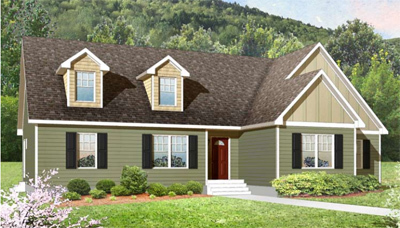 In addition, custom-built modular homes have flexible floor plans that can meet the distinct needs of families. Modular builders fortify these homes making them more sturdy and resilient to better withstand the savage of environmental forces. To find out more about customized modular homes in North and South Carolina, contact Tidewater Custom Modular Homes. In Virginia, where, as we know, hurricanes and severe storms can hit at any time, homebuyers require stronger and more resilient homes that can withstand strong wind and floodwater. However, when there is a demand for sturdier foundations and construction, this usually also translates to higher construction costs. Fortunately, modular construction can provide tough and robust homes at an affordable price and in a more timely manner. Modular homes are built and designed from top quality materials and designed using cutting edge technology to produce more durable and resilient homes. In hurricane stricken locations, modular builders even fortify these homes to resist and defy up to 180 mph strong winds. With a series of on-site QA inspections, the modules are guaranteed to meet or exceed local and state building codes. During construction, modules are glued and screwed to make them sturdier and able to withstand transport. This means they are sturdier homes than those built through traditional stick-built construction. Steel is applied to anchor and stabilize the structure so it can stay tough against excessive winds. Modular pilings with built-in smart vents are also applied in homes situated in flood prone areas so, in case of flooding, water can't accumulate and will flow in and out of the vents. In spite all these amazing features, modular home cost are still affordable because this building system makes completion time faster with less materials waste. Modular building systems employ a controlled environment and advanced technology to make this possible. Contact Tidewater Custom Modular Homes for strong, hurricane-proof homes. Homebuyers who are building a new home can often be disappointed by construction delays. This is often a problem with traditional construction. Builders often are unable to meet the planned completion date due to many factors including scheduling, materials, and weather delays. If you want to avoid construction delays and have a hard move-in date, consider modular construction for building your new home. The Tidewater Custom Modular Homes modular building system in Suffolk, VA offers a quicker, more reliable construction process. This means you can move into your new home without construction delays. Modular construction is done in a highly-secured and climate-controlled environment where weather delays won't affect the ongoing construction. Weather is the main reason for home construction delays. With the unpredictable weather in Virginia, traditional construction is prone to delivery delays. Additionally, because construction is a factory-like process, there are no contractor scheduling delays. Each step is performed systematically. Materials are ordered and stored in the building, so materials theft is never an issue either, as it is in traditional construction. In addition, modular homes are built with advanced technology that is not employed in stick-built homes. Thus, they are precisely-cut and are subject to constant QA tests. Because the modules are systematically designed, assembly at the permanent site takes just a few days to complete. In less time, homeowners can occupy and enjoy their new homes faster. To find out more about the benefits of modular homes, contact Tidewater Custom Modular Homes.